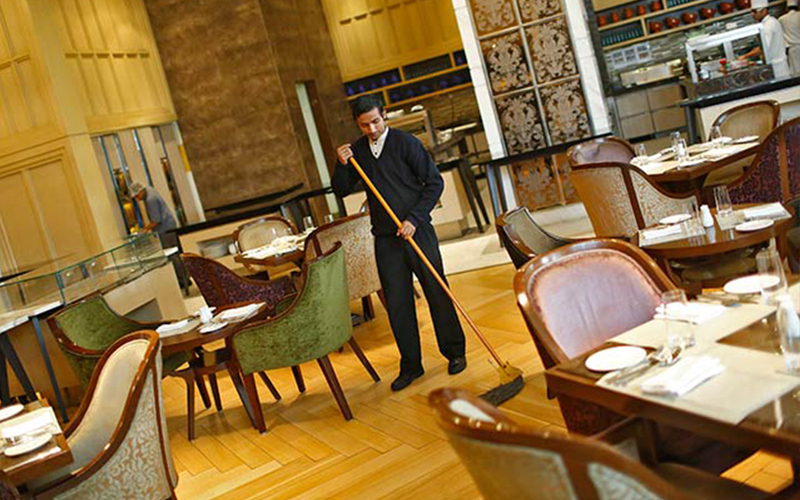 Activity in India's dominant service sector expanded at its fastest pace in eight months in June as new business orders surged, a private survey showed on Wednesday. "With services being the prevalent sector in India, the fainter rise in manufacturing was more than offset and growth of private sector output climbed to an eight-month peak," said Pollyanna de Lima, economist at IHS Markit. Though input prices rose significantly, firms did not fully pass that on to customers, suggesting overall inflation in coming months could remain below the Reserve Bank of India's medium-term target of 4.0 percent. India's annual consumer price inflation eased to 2.18 percent in May, driven down by cooling food prices, and further falls could pressure the central bank to cut interest rates by the end of this year. But weaker price rises fuelled domestic and foreign demand and drove the services PMI's sub-index on new business to 53.3 from 51.6 in May. This is still well below the 54.3 it reached just before Prime Minister Narendra Modi banned high-value currency notes in November, stunning the business community as it struggled in day-to-day business activities. A sister survey on Monday showed growth in Indian factory activity slowed in June, with the PMI reaching a four-month low amid a slowdown in output and softer domestic demand. Taken together, the manufacturing and service indexes pushed the composite PMI to 52.7 in June, its highest in eight months. The May figures was 52.5. In June, service providers were optimistic about growth in the year ahead, although the expectations index slipped to a fourth-month low as firms remained concerned over the near-term impact of the newly-enacted goods and services tax. A strong service sector is crucial for the Indian economy as it accounts for more than 60 percent of gross domestic product, and if momentum is maintained in 2017 it would lead to a faster economic recovery. In January-March, India's annual GDP growth was a lower-than-expected 6.1 percent, slumping to its lowest in more than two years. De Lima of IHS Markit said the June services number "contributed to the highest quarterly average for the composite PMI" since the second quarter of fiscal year 2016. "This suggests that GDP growth is likely to rebound from the sharp slowdown noted in the first three months of 2017," she said.